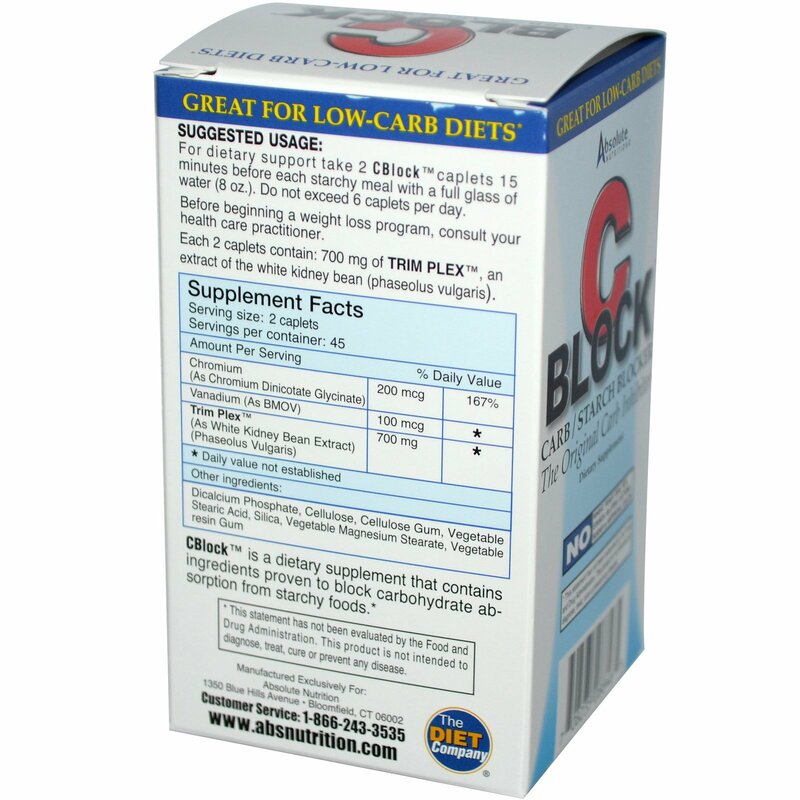 CBlock contains Trim Plex, a laboratory tested extract if the white kidney bean (phaseolus vulgaris) which has been shown to inhibit the absorption of starch from food. Trim Plex inhibits the product of the alpha amylase enzyme, which breaks down starches into sugars for digestion. CBlock goes even further, with added chromium and vanadium, two elements that help regulate blood sugar levels. This maintains your metabolism and trims your cravings for carbohydrates. CBlock was designed to supplement weight loss programs that include a healthy diet (low carb diet and others) and regular exercise. These factors will vary weight loss. CBlock inhibits the absorption of starch from starchy foods, including: pasta, potatoes, breads, pastry, rice, wheat, oats (oatmeal), wild rice, barley, buckwheat (kasha), rolls, muffins, cereals, sweet potatoes, peas, corn, beans and lentils. CBlock is a dietary supplement that contains ingredients proven to block carbohydrate absorption from starchy foods. 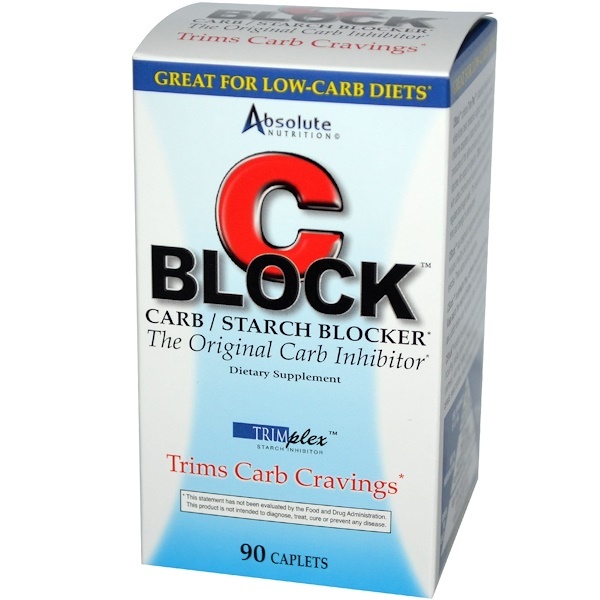 For dietary support take 2 CBlock caplets 15 minutes before each starchy meal with a full glass of water (8 oz). Do not exceed 6 caplets per day. Dicalcium phosphate, cellulose, cellulose gum, vegetable stearic acid, silica, vegetable magnesium stearate, vegetable resin gum. Each 2 caplets contains: 700 mg of Trim Plex, an extract of the white kidney bean (phaseolus vulgaris). CBlock is ephedra free, caffeine free and stimulant free. No wheat, yeast, egg, soy, starch, gluten, lactose, sugar, or artificial color. Keep out of the reach of children. If you are pregnant or nursing, ask a doctor before using this product. Store in a dry place (59º-86º). Before beginning a weight loss program, consult your health care practitioner.